Q: Why are your prices so competitive? A: Our buying power allows us to negotiate straight from the manufacturer and distributors and pass along the savings to you. It's like buying direct. Q: Which brand are the bearings used in the manual transmission and transfer case kits? A: The majority of the bearings used in our kits are Japanese. Some of the brands are Koyo, Nachi, Quest, National, Timken and NSK. Q: Is there a minimum amount to place an order? A: There is no minimum for domestic or international orders. Q: Who do you ship with? A: For domestic orders (within the US) we ship with the United States Postal Service (USPS) or the United Parcel Service (UPS). For international orders we ship through USPS, UPS or DHL Express. Please visit our Shipping & Returns page for more information. Q: Do you ship to FPOs and APOs? A: We ship to FPOs and APOs using Priority Mail Service. 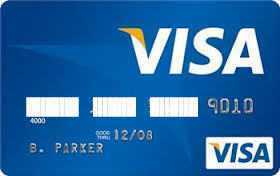 A: We accept debit cards with the Visa or Master Card logos. American Express, Discover, Visa and Master Card Credit Cards, PayPal, Western Union and Bank to Bank Wire Transfers. Q: Do the torque converters have core charges? A: Most of our converters do not have a core charge. In the event that one does it will be listed on the description. Q: Are the torque converters rebuilt or new? A: Very few torque converters available in the aftermarket are new. Most converters are rebuilt with a 3 year, 36,000 mile warranty. Q: What is the difference between the different kits? A: Please visit the Automatic Kit Description link for more information. A: Monday through Friday 9AM to 5PM Eastern Time. We are closed Saturdays, Sundays and national holidays. Q: Can I buy online? A: Yes, our safe and secure online store is open 24 hours a day, 7 days a week every day of the year. Q: Why do you need to verify if I am the owner of the card? A: In certain situations, we may need to verify some information for your protection. In specific instances we may require a picture of the credit/debit card. If this information is required, we only need to see the last four numbers of the card. We appreciate your understanding and cooperation.